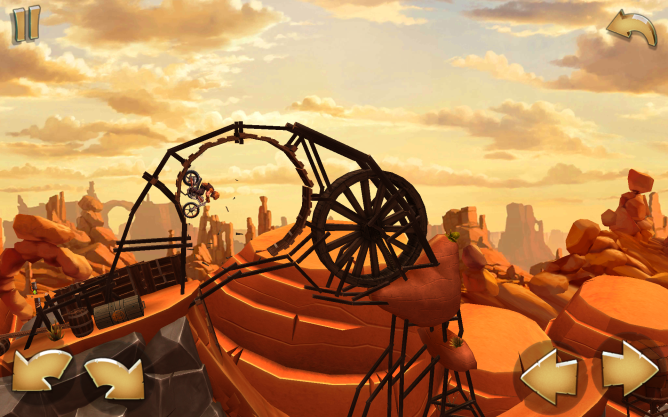 Ubisoft's Trials series has been hitting the track for years now, challenging players to perform fantastical tricks atop their motorbikes while hurtling through the air. The franchise has typically stuck to PCs as Java and flash games, but later versions have made the jump to consoles. Now the first mobile release has exited limited geo beta and is now available for all. The game's challenge derives from its off the wall physics-based tracks, as navigating them alone can be difficult enough without the pressure of building up high scores. Riders are encouraged to explore the world, upgrading their bikes in the process. Unfortunately there are time-based in-app purchases to deal with, where players have to either wait for the tank to refill or pony up money for gas (as though paying for gas is any fun, virtually or otherwise). 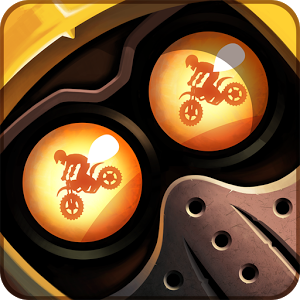 Trials Frontier is the companion game to Trials Fusion, which recently launched for PlayStation and Xbox consoles. This is a more animated, cartoony take on the series, but the crux of the game remains the same (and not all that dissimilar to another Ubisoft title, Motoheroz). Hop on via the widget below.